I love looking at old cooking magazines and this was inspired by an advertisement recipe that used a whopping 1/2 cup of olive oil. It’s not necessary. The dish is delish and very filling. Bring water and bouillon cube to a boil. Add lentils and stir. Reduce heat to a gentle simmer for 17 minutes. Add quinoa, stir again, and simmer for another 9 minutes. At this time, most of the water will be absorbed. Turn off heat and let sit until cool. Whisk ingredients from olive oil through pepper flakes thoroughly. 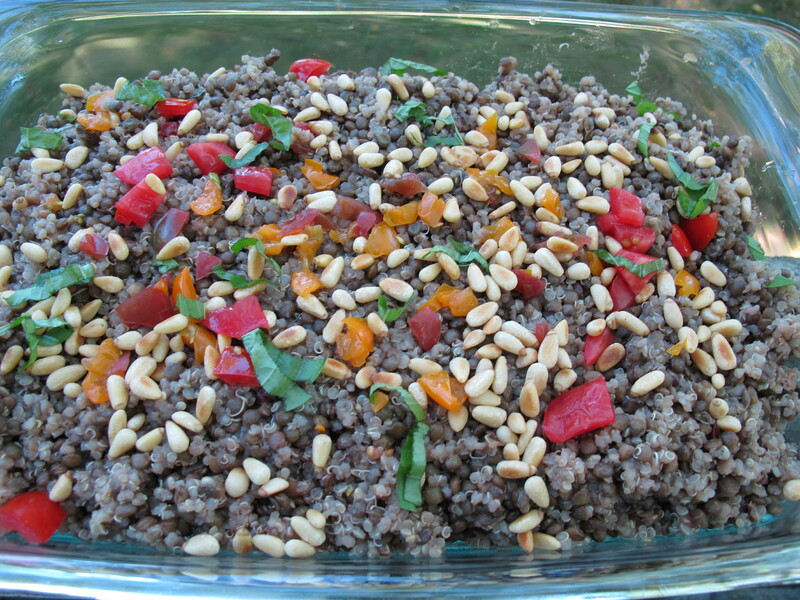 Toast pine nuts in an iron skillet and set aside. Once the lentil/quinoa mixture is completely cool carefully drain off and reserve any cooking water and transfer the mixture to a large bowl. Add 2 T cooking water to dressing and pour over mixture. Toss carefully to meld flavors. You want to keep the lentils intact. If the salad seems dry, add either a little more olive oil or cooking water. 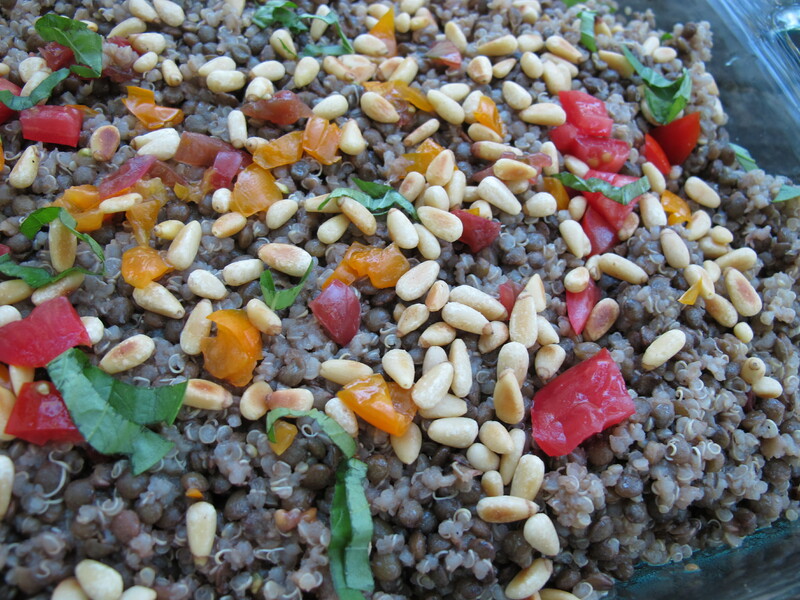 Place the spinach on a platter, mound the lentils on top and sprinkle with the toasted pine nuts. You can also decorate with chopped red pepper or heirloom tomatoes or roasted veggies like asparagus or green beans in season. *in a small bowl, mix 1/2T chia with 2 T water. Let sit for a few minutes to thicken.